Can you believe that summer is over people? I mean one minute we are putting up Christmas trees and humming along to the Beach boys and then suddenly... BOOM autumn smacks you in the face and says "HELLO I'm here". I am so not ready for autumn and then there's *shudder* winter. sniffing at it's tail. I'm not a pessimist... not much anyway. It's just that I would prefer if we went Summer Spring Summer Spring instead of chucking in two coldish seasons into the mix. Like it or lump it - it's a coming and there ain't nothing we can do about it except sit on the internet and look at images of cosy homes to try and make ourselves feel better about the fact that pretty soon the we will be donning the cardies and bunkering down for some serious hibernation. Did I mention grey is on trend again? Actually I have no idea if it is or isn't because I am no interior designer. Nope, not by a long shot. 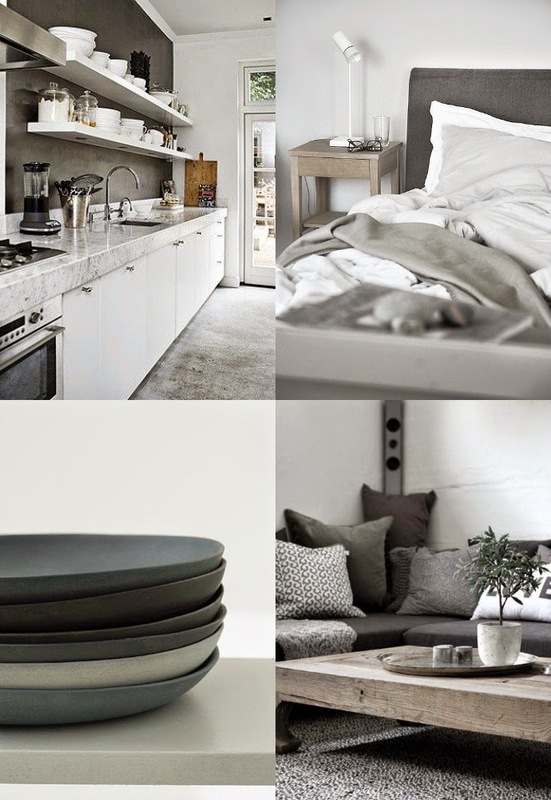 But I do not what I like when it comes to interiors and I have to say I am a little partial to some grey decorating. 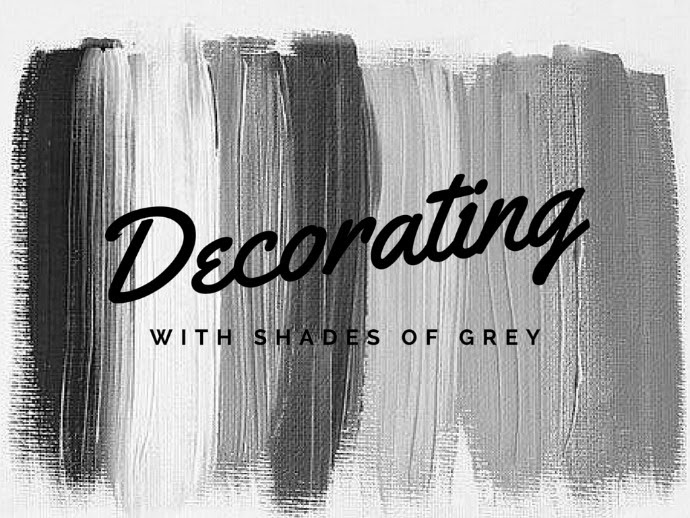 Judging by the number of images of rooms decorated in grey that is flooding my Pinterest feed at the moment, I'm gonna take a guess that there are quite a few of us who have a little thing for fifty shades of grey. No not that kind of Fifty shades... but hey, no judging if you are into that kind. I don't think I could do grey through out the whole house. Oh stop it I have moved on from that grey. I crave colour a little too much. But I do like a moody grey in the bedroom and if someone was to hand me the keys to my very own winter holiday home that was all kitted out in grey, then I wouldn't be turning my nose up by any means. 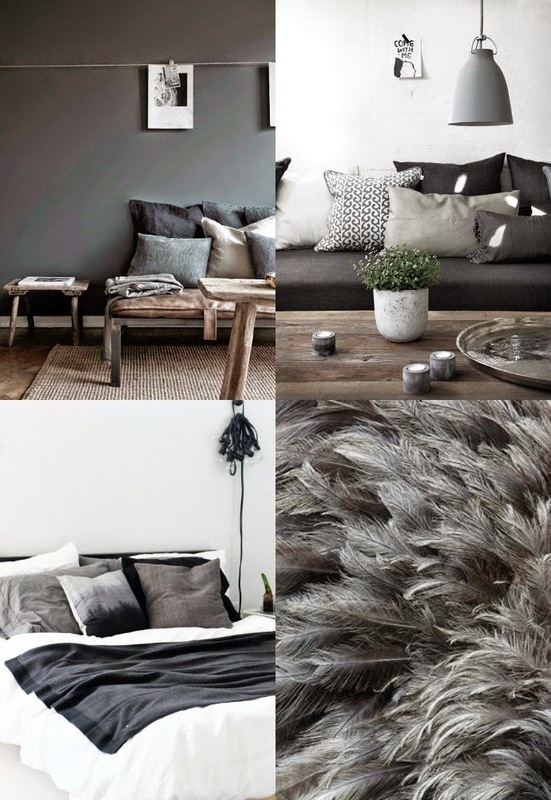 Here's a little inspiration if you are looking to decorate with grey this autumn / winter. I was going to pick fifty photos because ... you know a nod to fifty shades and all that, but then I was "nah, I can't be assed". Probably not the best word to use in a post about shades of grey. Go easy on me you devious Googlers. I don't mean to disappoint you. 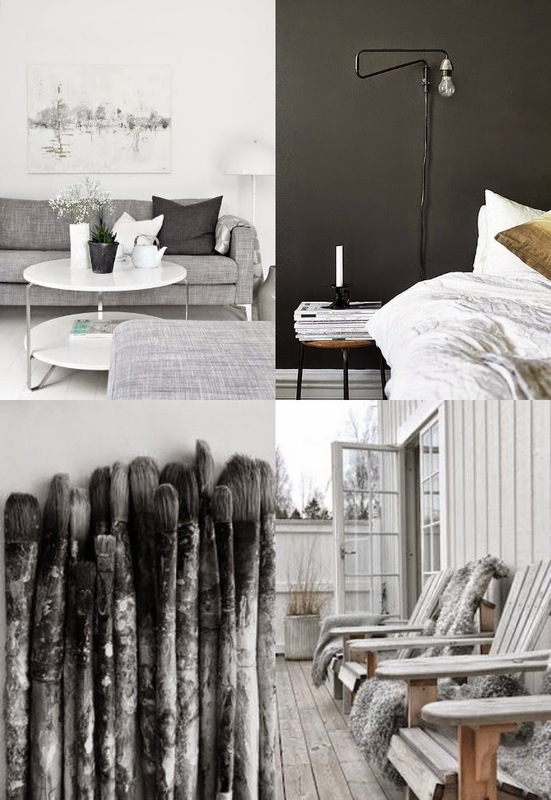 Got a little grey going on in your house at the moment or inspired to go there? I always endeavour to link back to the original source in my style inspiration posts, but if I have made a mistake please let me know and I will correct it immediately.